Demetria Davonne LOVATO (Demi Lovato) Vs Destiny Hope Ray Cyrus Finley (Miley Cyrus) ♫♫♫♫. MARTINA STOESSEL ARRUINO DISNEY CHANNEL? 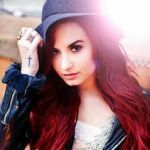 DEMI LOVATO ES LA MEJOR ACTRIZ DE DISNEY DE TODOS LOS TIEMPOS.??? ?.